Apple And Tomato Juice recipe by Sahar Rahat at PakiRecipes.com. 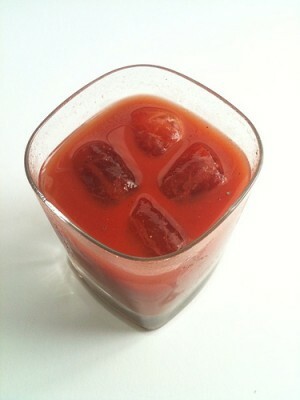 Apple and Tomato juice is very healthy and rich in Vitamin A, Vitamin C and Iron. Rinse and peel the apples. Cut into pieces and set aside. Rinse the tomatoes, remove the stems and cut into pieces. Put into the juicer together with the apples ans mix well. Strain and pour into a glass. Sitr in honey and lemon juice before serving. Good basic recipe for all seasons. I would like to add a little water and a pinch of salt. This is also very good for dengue patients and other viral fevers.